Have you ever noticed that the cost of dental care starts as a pain in your mouth and finds its way to your wallet? In the United States, major dental care can cost anywhere from a few hundred dollars to more than $40,000. When you turn to your dental insurance policy for benefits, you find coverage limits of only a few thousand dollars, leaving you with a bill that can look like the cost of a new car. It doesn’t have to stay that way. 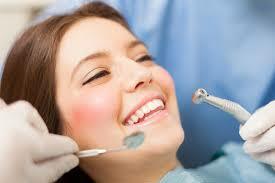 We know from experience there are outstanding dental providers in parts of the world. We know the technology and techniques in the best international dental clinics are excellent. In fact, some of the best clinics are more up to date than your local dentist. We know that costs are less expensive than in America. The challenge most people face is finding quality providers. That’s where we help. At Soter Healthcare, we review dentists and dental specialists with the same hallmark standards we use with our medical providers. We check their facilities, their credentials, the number of procedures performed, and their results. We consider the lab where their medical products are made, the materials used, the process for placing them, and the procedures to ensure proper fit, function, and comfort. When you work with us for dental care, we don’t pick providers or locations first. We start by reviewing the care you need and then potential providers. Because you will be traveling to your provider, we evaluate the resources and environment at a possible destination, including the security situation. We assist you with travel arrangements including visas, if needed, local transportation, and lodging. Once the quality criteria are met, it’s hard to argue with the cost savings. A procedure that runs $10,000 in the US can cost as little as $3000 in some places. A recent client was facing a $40,000 procedure for replacement of all her teeth. Using our services, her cost dropped to about $17,000, including travel expenses. As an employer, you recognize dental insurance covers only a small part of the cost for major dental treatment. With Soter Healthcare, you can provide a destination dental care benefit to your employees at no cost to the company. It’s a way to provide a welcomed employee benefit without touching the bank…except to leave money in it. For more information, contact us today to learn how you can have this great plan for your business.